Casey and I spend days just like this...watching the kids play in the ocean, or park, while we sit side by side enjoying a beverage. 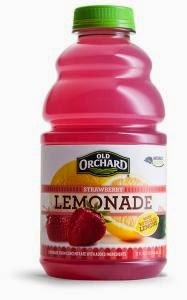 Recently we had the opportunity to sample 2 new Old Orchard Lemondaes, original and strawberry. My personal favorite is the strawberry. I love that is tastes like it's very fresh and clean, Casey prefers the original, saying its just the right amount of sweet and sour. Old Orchard Brands is offering a contest where you can enter to win a $2500 vacation getaway! To enter Old Orchard Brands’ #StayCool Summer contest users simply upload a short video (30 seconds or less) on the contest website (or on Facebook at facebook.com/OldOrchard) that demonstrates the ultimate method for staying “cool” – cooling off and/or keeping in style – this summer. Video entries are limited to once daily, but users can submit new videos each day for more chances to win. Videos can be uploaded directly from handset devices, so no third party video hosting is necessary. Simply point, shoot and upload your cool summer moment for a chance to win big! Two Grand Prize winners will be selected—one by popular vote, the other by a panel of Old Orchard Brands judges. Grand Prize winners will each receive a $2,500 summer vacation getaway. 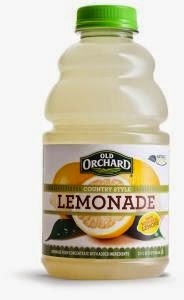 The top-25 most popular entries (by vote) will receive a summer prize kit including free Old Orchard juice. Share your video with friends to encourage more votes! Visit www.Facebook.com/OldOrchard or www.OldOrchard.com/staycool for detailed contest rules. In addition to their contest they are also giving away 1 free Old Orchard juice coupon to 5 of our readers! Enter using the rafflecopter form below, and good luck! I do not think I will be entering the video contest. No, I will not be entering the video contest. Thank you for sharing it though! Summer Perfect Hair with VO5! Nature's Own Bread Review and Giveaway! Malt-O-Meal Cereals are a Great Value! Santa Cruz Organic Lemonades + Giveaway! Get up and GoGo with Dad this Father's Day! Pizza Hut $8.99 Summer "Box" Buster!